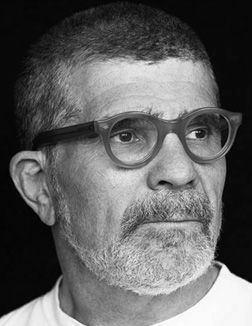 David Mamet’s new book, Chicago, is his first crime novel and a return to the 1920s gangland of his screenplay for The Untouchables. Below, the acclaimed playwright, screenwriter, and director lists the novels he turns to for the pleasure of their dialogue. Outlaws by George V. Higgins (Vintage, $10 as an e-book). Great dialogue—in novels, drama, on the street corner, or at the barbershop—adheres to our consciousness and shapes our understanding of the world. If you appreciate great dialogue, read some of George Higgins’ novels. He was a 1970s state and federal prosecutor before he became a Homeric chronicler-inventor of the language of the cops, crooks, and shysters of Boston. True Grit by Charles Portis (Overlook, $16). The dialogue in True Grit is exquisite. Portis was inspired, I believe, by the work of Andy Adams (1859–1935), an actual cowpuncher, who wrote the best fiction of the frontier. Read Adams’ The Log of a Cowboy and A Texas Matchmaker, both novels of the trail drive, for a visit to Reconstruction Texas. Wolfville by Alfred Henry Lewis (Free at Gutenberg.org). Lewis’ Wolfville series also must have inspired the great Mr. Portis. Wolfville is a fictional trail town, peopled by gunfighters, gamblers, cowmen, and whores. If you like to laugh, you will love these books. The Complete Works of Ernest Bramah (Delphi, $2 as an e-book). For pure delight, I recommend Bramah’s Kai Lung series, a Victorian treasure. Bramah invented a sage-scoundrel storyteller, Kai Lung, whose method of circumlocution spawned the Victorian phenomenon of Kai Lung Clubs. There, folks would assemble and speak in Bramah’s pseudo-Chinese patter.